use the panel to adjust the setting. and watch the result. 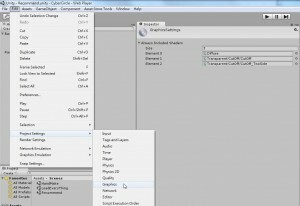 There are 2 way to use CyberCircleGenerator, dynamic or custom each layer. 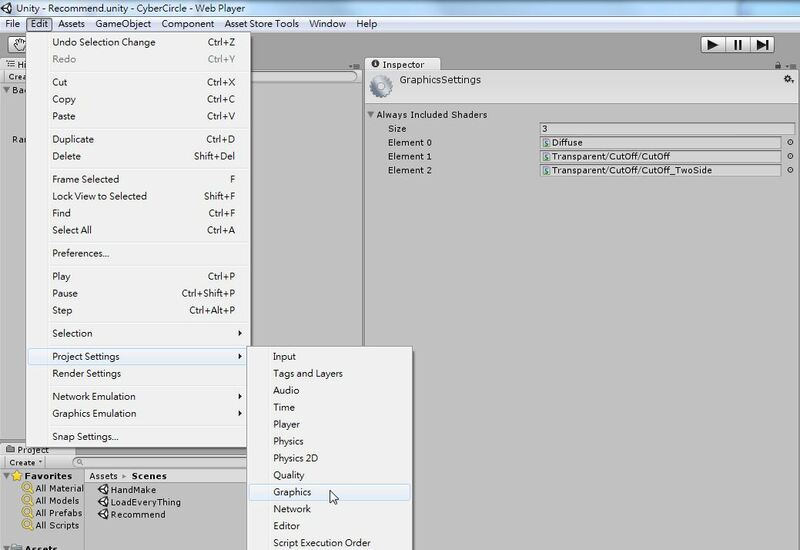 To create a single layer of CyberCircle. Create a empty Gameobject on the scene. You done, run & watch result. If you want to create a dynamic generator. 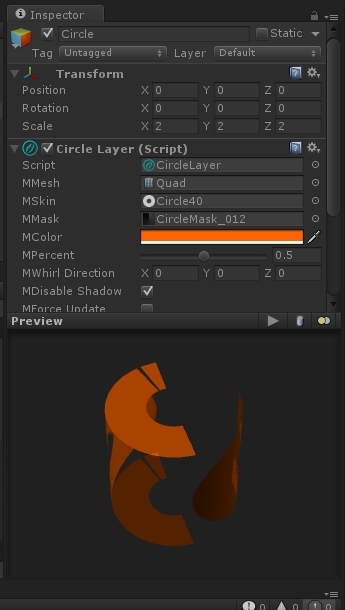 You can find prefabs\RandomCircleMatrix.prefab in package. 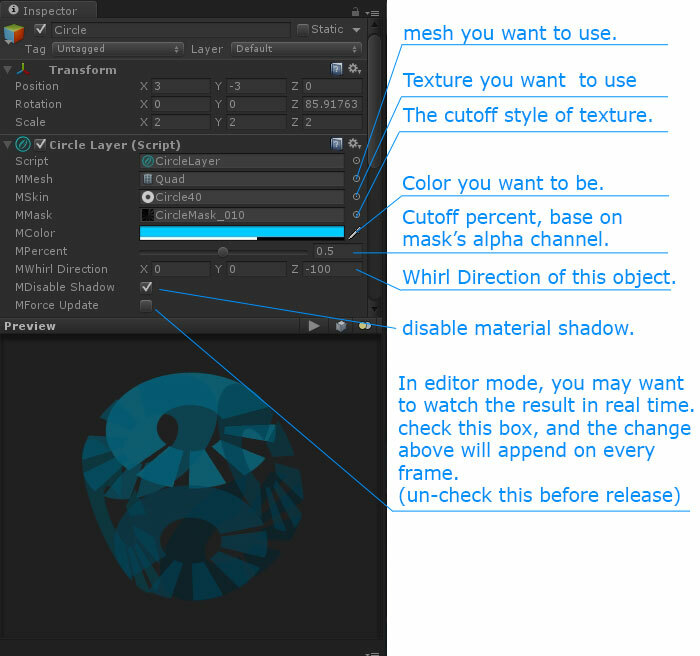 edit the parameter in inspector as you want. 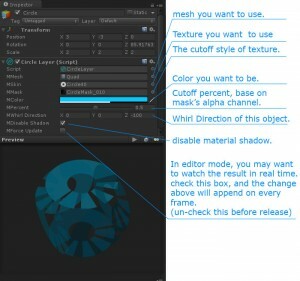 open it with “adobe photoshop” and you can custom your mask & layer. A tools to generator circle and whirl. 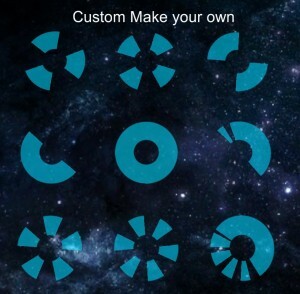 If you want to make some decoration for your sci-fi ui, you may want to try this. Texture are missing, only saw a pink plane! those texture will not be ignore when compile. 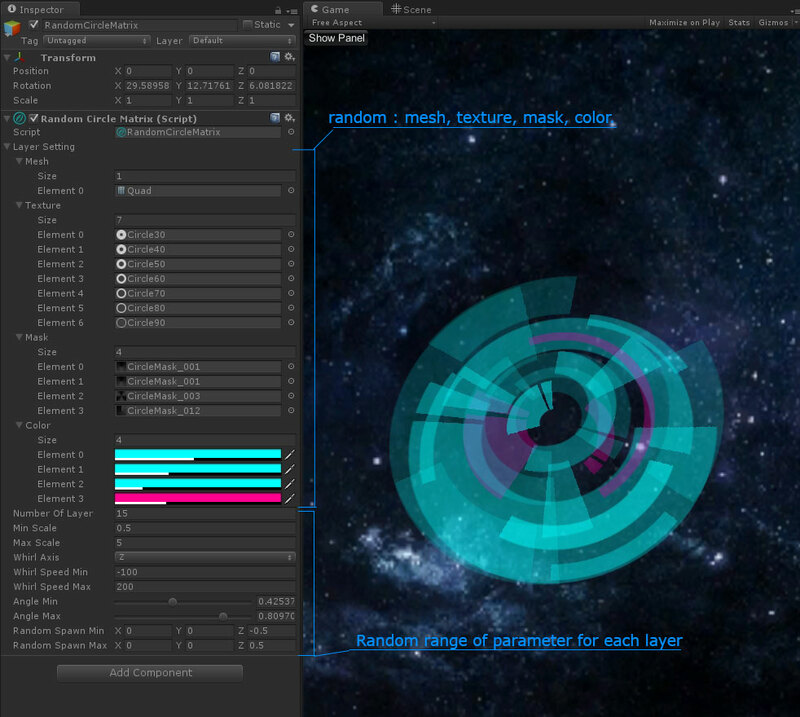 Edit > Project Settings > Graphics > Always Included Shaders …. Can you add a way to expose Sorting Layer and Layer Order in an update? 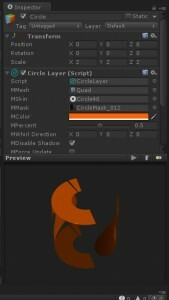 I use them to sort my game, but I can’t seem to get it to work with the circle asset. Thanks! GameObject Layer, Sorting Layer, Tags are also added in new version, you can select you layer on inspector please check it out.